1965 N.O.S. Quaker State Racing as found in "Unopened Condition"! 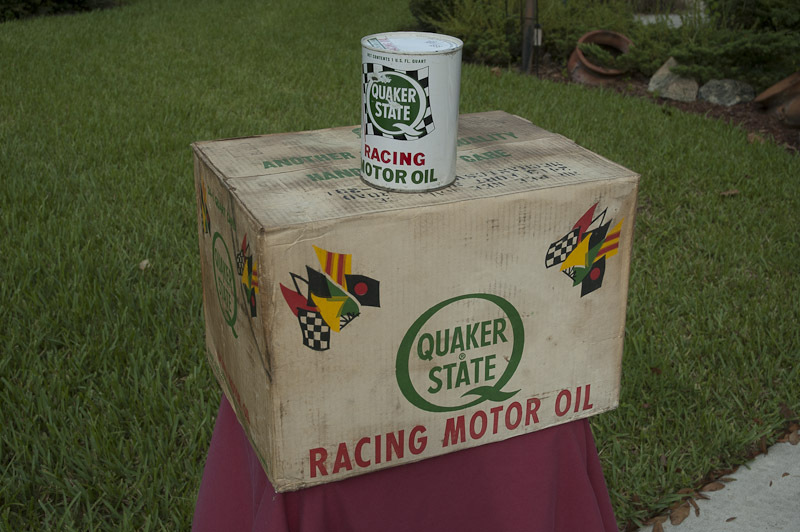 New Old Stock, N.O.S., unopened case, 24 cans, of Quaker State Racing Oil from 1965 ! ! ! The can pictured is from another partially full case and is the same as the unopened case for sale. The Quaker State Racing Oil is much more difficult to find, especially in this condition. Each metal can is dated 1965, that's 52 years old! This would make an awesome display in your shop or garage!